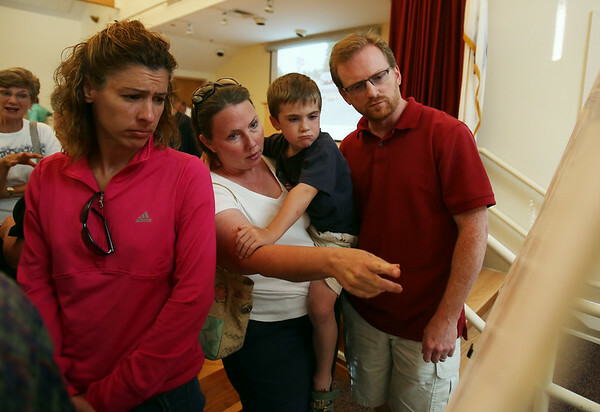 Karen Paluzzi, left, and Kristine, Ethan, 5, and David Pagano, all of Beverly, look at plans for the proposed Brimbal Ave renovations at the Beverly Senior Center on Thursday evening. DAVID LE/Staff photo. 7/24/14.